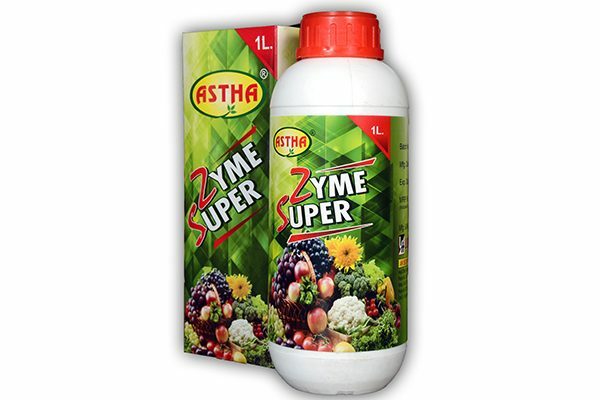 ASTHA ZYME SUPER (Natural Plant Nutrient) - Lila Agrotech ASTHA ZYME SUPER (Natural Plant Nutrient) – Lila Agrotech Pvt. 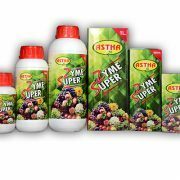 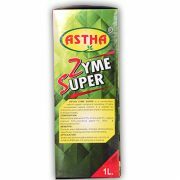 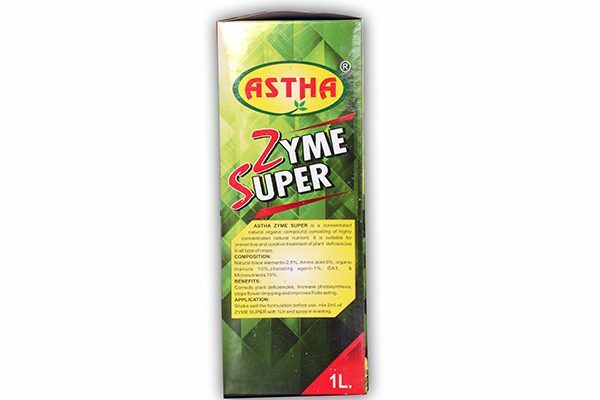 Ltd.
ASTHA ZYME SUPER is a concentrated natural organic compound consisting of highly concentrated natural nutrient. 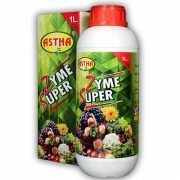 It is suitable for preventive and curative treatment for plant deficiencies in all type of crops. 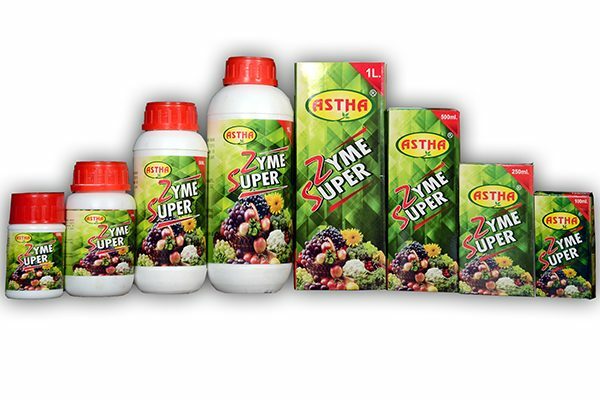 Natural trace elements 2.5%, Amino acid 5%, organic manures 10%, chelating agent 1%, GA3 & Micronutrient 10%. 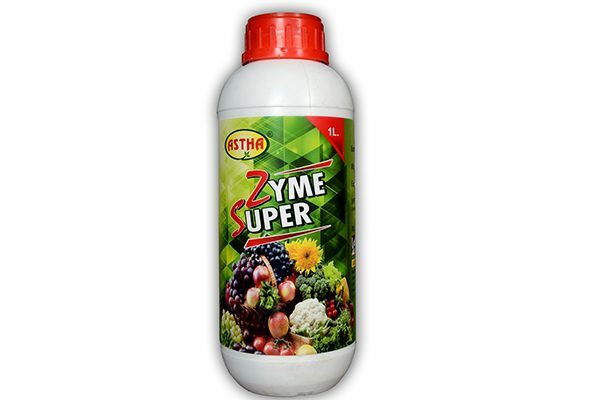 Corrects plants deficiencies, increase photosynthesis, stops flower dropping and improves fruits setting. 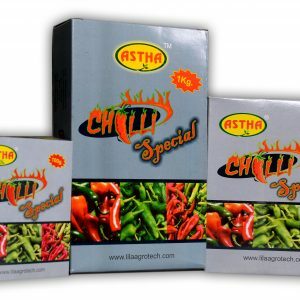 Shake well the formulation before use. 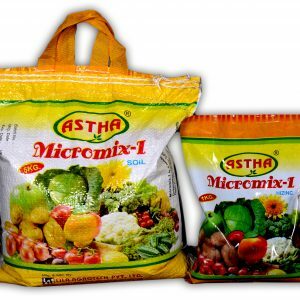 Mix 2ml. 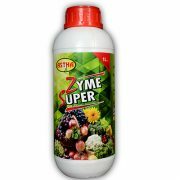 of ZYME SUPER with 1 liter water and spray in evening. 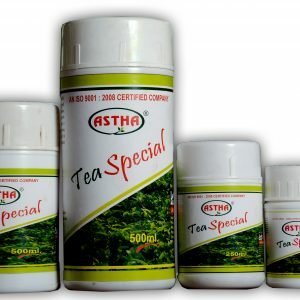 Available Packing – 100 ml., 250 ml., 500 ml., 1 Ltr & 5 Ltr.